Welcome to Grand Vista Pools! 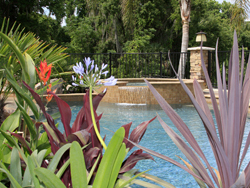 Grand Vista Pools is an outdoor living design build firm covering all of Pinellas County, Pasco County, Hillsborough County and the entire Tampa Bay area. To learn more about our unique company and how we eliminate many of the problems homeowners traditionally face when it comes to building a swimming pool or an outdoor living space, please see below. Don’t just take our word for it. Please visit our video testimonial page to see and hear what some of our satisfied customers have to say about us. We know that deciding to buy a custom built swimming pool is a big investment. It can be exciting and challenging at the same time and we don’t take this decision lightly. We understand the challenges and frustrations a homeowner may have trying to find a swimming pool builder they can trust. It’s not easy to figure out which swimming pool builder is going to give you the quality, service and design standards you hope for, and which one is going to cut corners, surprise you with hidden costs and take months to complete the job. 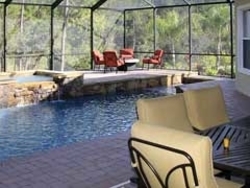 We would like to show you how you can get a uniquely designed custom pool in the Tampa area that's built to last, has no hidden costs, and is completed in far less time than you could from traditional swimming pool builders. 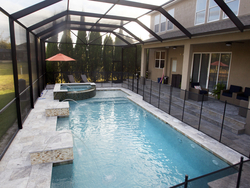 When the idea to start a custom pool construction company was born, we wanted to find out what homeowners like you could expect from swimming pool builders in the Tampa Bay Area... so we decided to do our own survey. We talked to many people just like you and found that they experienced four major frustrations and problems during the construction of their swimming pool. We would like to make you aware of these problems and then tell you how we eliminate them all. 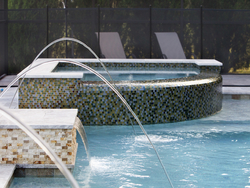 Most swimming pool contractors use design templates so there is a limited amount of design possibilities. 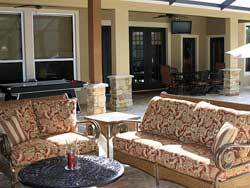 We offer custom pools to fit your location and situation as well as giving you a unique and beautiful pool area. The traditional swimming pool builder takes three to six months to complete a pool. There are several reasons it takes this long and they include: Lack of proper communication, lack of proper organizational skills and too many people in the chain of command. We use an innovative time guarantee that will pay you if we don’t complete the job within the agreed upon time frame (typically 30 to 60 days). Your swimming pool has to last 30+ years so cutting corners is just not acceptable. There are many ways traditional swimming pool builders will do this in areas that you won’t even be able to recognize such as: Making the thickness of the swimming pool shell 6” instead of 8”, not using 4000 PSI concrete, installing a generic interior finish instead of Pebble Tec brand and using unskilled labor (probably most important). When we build your custom pool, we do not cut corners. You get a quality custom pool. As with any major purchase, there can be hidden costs. Many swimming pool builders will start with a lower price so they can get the job and then come back later with extra charges that should have been included in the original price. This will add to the cost of your swimming pool, making it more expensive than some of the other swimming pool contractors that you’ve interviewed. Our “Final Price Guarantee” takes the fear of extra charges away and gives you the peace of mind that you will not have to pay more for your swimming pool than you expected.